Previous: How to buy bonds? And where to buy them? 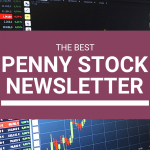 Alright, so you have a grasp on what penny stock are and you have concluded that the penny stock market is right for you. You may be wondering where to get started and how to find potential penny stock investments. This is the tricky part because a lack of research, and purchasing too quickly can lead to costly mistakes and losses. Finding the right penny stocks difficult. Taking the time to research penny stock lists and gather information on individual companies will significantly increase the odds of success. Purchasing a penny stock because your co-worker who heard someone raving about it on the bus recommended it, is strongly discouraged. There are many websites that will offer lists of excellent penny stock investments. This is where it is important to proceed with caution and be able to differentiate between legitimate penny stocks and those that are victims of pump and dump schemes (see list below for tips on how to avoid stock scams). Finding a website that lists penny stocks is only a starting point. A good place to start is Wall Street Survivor’s Investing Ideas page which lists various penny stocks. Another option is to use MSN’s Stock Screener which allows you to filter stocks based on desired criteria like price per share. After going through various lists online, make sure to research each company individually. You can evaluate companies using a fundamental analysis approach or a technical analysis approach, the latter being more common for penny stocks. The pump and dump and other stock scams are some of the most common internet frauds. 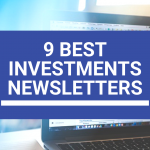 An informed investor is able to spot these scams and cut potential significant losses. If you come across a penny stock recommendation (or any stock for that matter) look for the source of the report. This advice may well come from insiders of the company or paid promoters who stand to profit from your trade. Carefully read their financial statements, the prospectus and any other information you can get your hands on. Although some information may be hard to come by, the more you gather the better. While some penny stocks may be found on the major exchanges such as the Nasdaq and NYSE, they often do not meet their listing requirements. Instead they can be found on over-the-counter bulletin boards and pink sheets which generally involved increased risk and exposure to price manipulation. Penny stock promoters will often claim that the company is about to release the next big drug pending FDA approval or has access to a gold mind that once excavated will increase the company’s earnings exponentially. The claims are often the bait to get you to buy, make sure that you can find supplemental information that backs these claims from legitimate sources. There is no way to get rich quick. If it sounds to good to be true, it probably is. The use of technical analysis is common for penny stock traders. Technical analysis uses price and volume history of a certain stock to forecast future direction. Wall Street Survivor’s Investing Teacher course offers a great interactive way to learn how to use technical analysis.